There’s only one good thing about a visibly damaged tooth: here, clearly, is where the pain’s coming from and where our response will be focused. But complaints of “tooth pain” without a clear source or origin—now, that’s something else entirely. Say you’ve been good with your hygiene, faithful in your checkups, and you wake up one morning with a vague pain. You can’t see a crack or cavity, but something’s just not right, so you schedule an appointment with our team. What gives? A morning toothache might not even come from damage. Could be the aftermath of all-night grinding (bruxism). Usually treatable with a simple sleeping appliance. 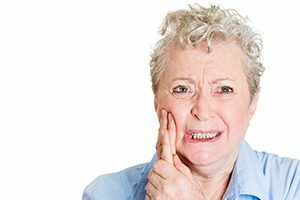 Sometimes after a new filling or crown there’s a lingering sensitivity to hot or cold. This should disappear after a few days. If not, perhaps another look is in order. Almost always, we can detect and correct even microscopic cracks. But (as is the case with the rest of your body) there can be “pain phantoms” which come and go for reasons unknown. If it can’t be located and identified, it can’t be treated. Thankfully, we see very, very few of those.